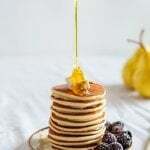 Welcome to GoutPal, my Gout Support Website for all gouty people. 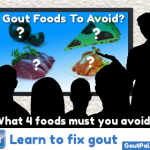 Please select from the top gout topics below, or catch up with the latest gout support news in GoutPal’s Gout Blog. You can see the latest gout blog posts near the foot of this page. You can also browse the gout guidelines organized into main gout categories, listed below. Or, by using the menu to the left of each page. Since 2004, I have gathered many facts about gout. So, I’ve seen many changes. Yet, I still see Internet sites, and even doctors, recommending practices that are outdated. Therefore I created this gout website to understand my own health better. Now that I’ve achieved gout freedom, I pass my knowledge to you and millions more gout sufferers around the world. But, I know that some of my gout guidelines only affect a small percentage of people. Some pages will affect nearly everyone, but how do you know what is important for your gout? You can work through the guidelines I’ve listed below. 1-2-3: Symptoms-Treatment-Diet, in that order. When you need clarification, just ask in the gout forums. My guidelines cover all aspects of gout. So, I have designed them specifically to be done in order. Firstly, you need to explain your gout symptoms to your doctor. Then, get a clear gout diagnosis. Ideally, you might find causes of gout that can be cured. But, for most gout patients, you will need a plan. Secondly, plan your gout treatment. Discuss with your doctor, the need for gout pain relief, and for uric acid control. Also, If you want to try herbal gout remedies, I include advice on these. But, you must still stick to a plan for pain control and for uric acid control. Thirdly, check and improve your diet. This might include purine control to reduce uric acid. But, that will take months, or years. 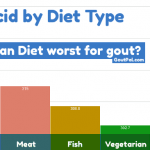 So, how can you improve gout diet for pain control? If you do not understand why this order is important, please read my gout guidelines introduction. 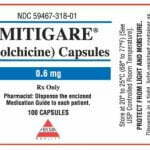 Gout symptoms and good diagnosis of them are the crucial first step to controlling gout. So, see how to understand the causes of your gout. Then learn how to fix it. One gout treatment is never enough. Because you need the best pain relief and the best uric acid remedy. 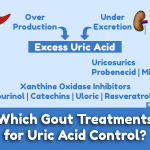 So, see which mix of treatments helps your gout for good. Gout diet is important. But do not be gout food obsessed. Because looking for individual uric acid foods is a waste of time. 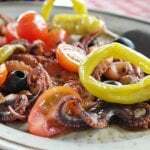 So, focus on complete diets and see how to use diet to help your gout. Remember, not all these guidelines are relevant to you. Because gout treatments often affect people differently. 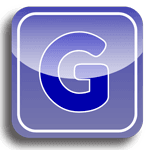 To find out which gout guidelines are important to you, just ask in the gout forums. Finally, I have given you a lot of information about gout. So, it is often easiest to search using the box at the top of every page. But, easiest of all, is to ask in the gout forums.